The finished Green Mango Bath Salts. I absolutely love soaking in the bath. There is something about the combination of hot water and bath salts that help me relax like no other. Around this time of year, I find myself taking more and more baths, so I think bath salts are the perfect gift. I know I would sure be happy to get some fantastic smelling bath salts for Christmas. If you are in need of a quick, last minute Christmas gift, then this is the blog post for you! It is so quick and easy, and it is pretty cost effective too. The smallest size we sell our Medium Bath Salts in is 10 lbs. 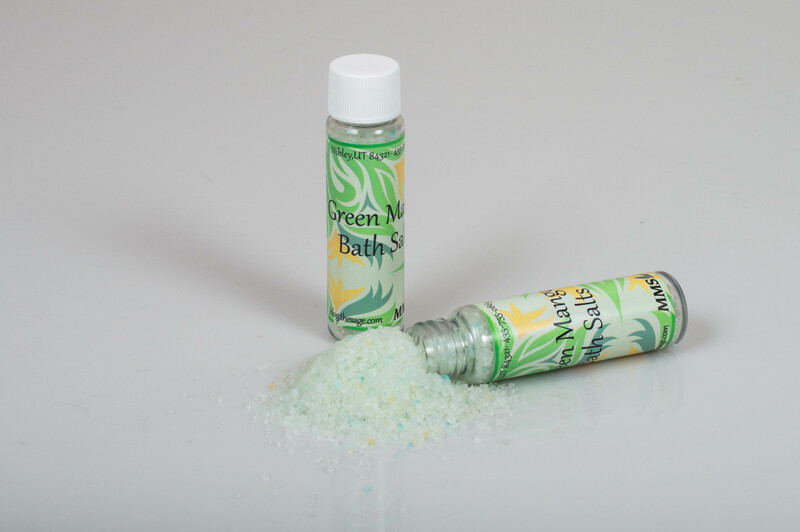 Our Bath Salt Tubes hold about 4 ounces so you would have enough to fill 40 of our bath salt tubes, that is a lot! You would have enough to give some to your friends, family, and neighbors. Keep on reading for this easy-peasy recipe. Q.S. stand for quantity sufficient, which means you determine what to add so you get the color you desire.